In the “Digital World” of today, many new university courses, related to digital systems and design, have had to be included in the EE curriculum, while maintaining the 4-year time span of a first EE degree (BSc). Due to pragmatism and sheer lack of frontal lecture time, this has necessitated the elimination of many previously required courses of the old “Analog World.” However, as discussed in “Chap. 1,” analog circuits are still vital, e.g., for the analog front end, as well as for many other electronic circuits and systems. 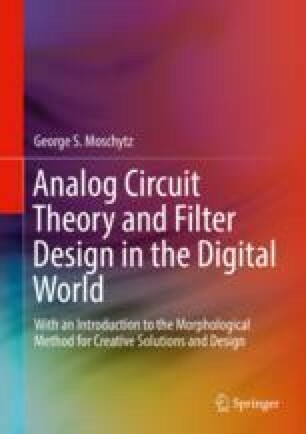 Thus, in order to enable the study, e.g., the analysis and design, of modern analog and mixed-mode circuits and systems, a minimum of basic analog circuit-and-system theory and analysis is first required.